Back in May 2014, I organized a 4-day workshop on giving awesome presentations. 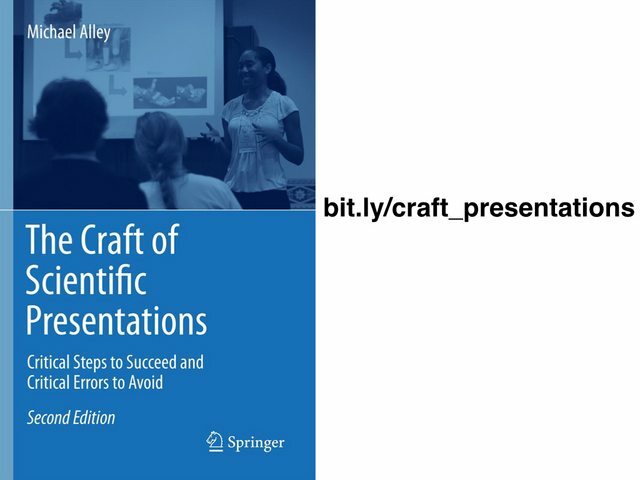 We talked about why we give presentations, how to tell compelling research stories, how to create effective slides, and how to overcome the barriers that separate us from our audience. I recorded all of the sessions on video, but editing and uploading just one of them to YouTube took me more than 10 hours, so the only thing I did for the other sessions was to put the slides online, which is kind of boring. 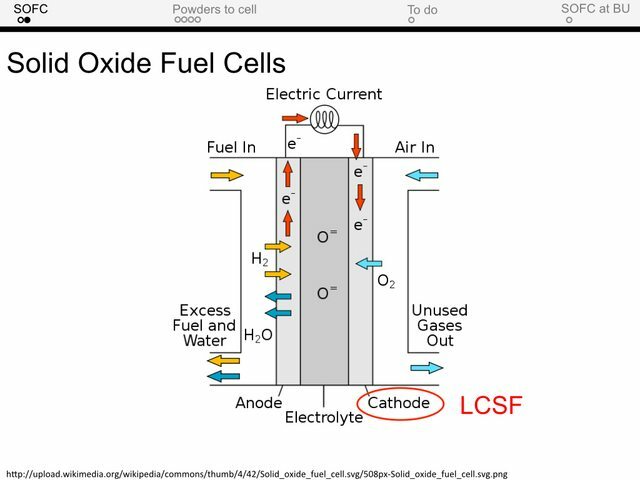 But I was recently inspired by a cool slide deck that came with annotations, so I thought I’d give it a try and provide an provide an annotated version of one of the workshop sessions. I would love it if this trend would catch on (annotated posters, anyone?). My friend Yözen told me he wanted to learn how to create cool slides without having to become a graphic designer, and I shamelessly stole the title from him. To be remembered, you must first be understood. You wouldn’t give a presentation in French to a group of English speakers. Likewise, you wouldn’t present all the technical details of your project to people who are not yet familiar with it. 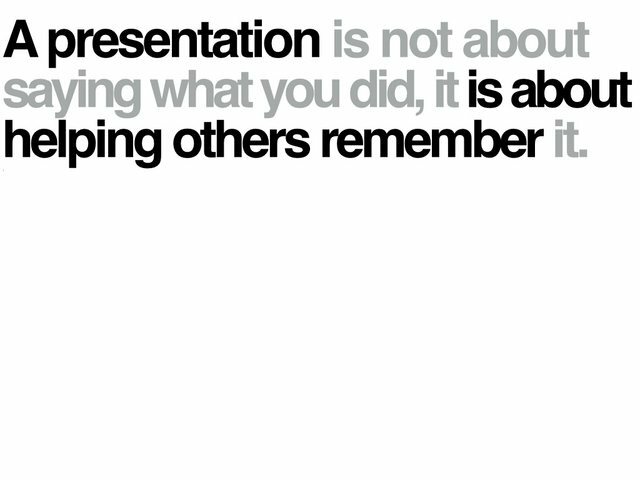 Switching the focus from my project to my audience leads to more memorable presentations. 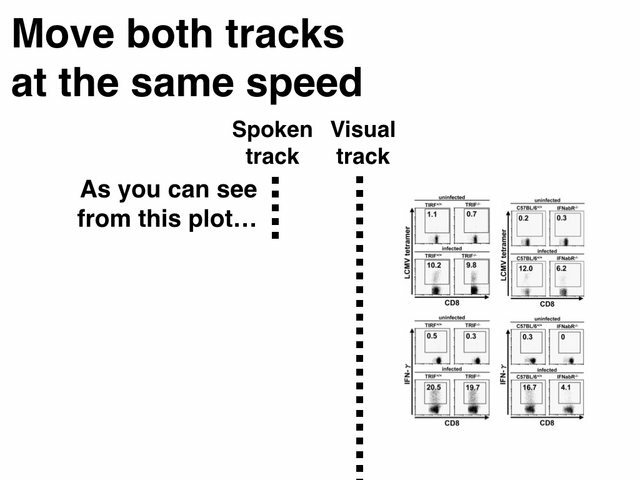 When you present, you are providing your audience with two tracks. 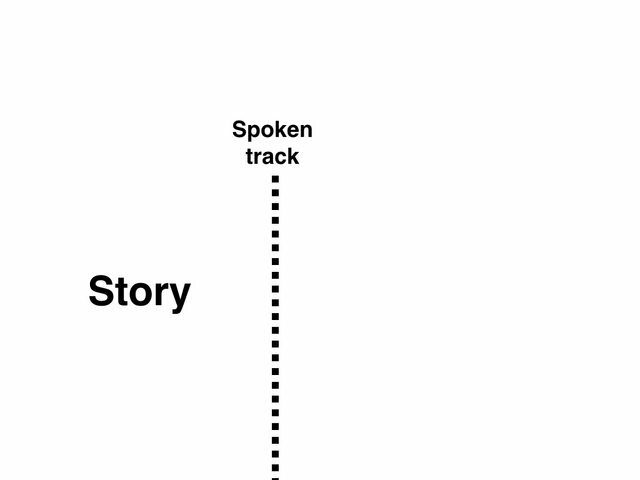 The first track comes from the things you tell them (hopefully this is a memorable story). The second track comes from the things you show them. 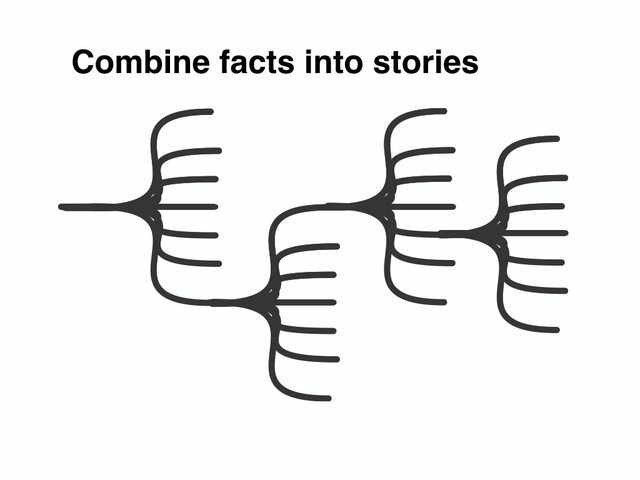 Think of your slides as a backup track that runs parallel to your story. 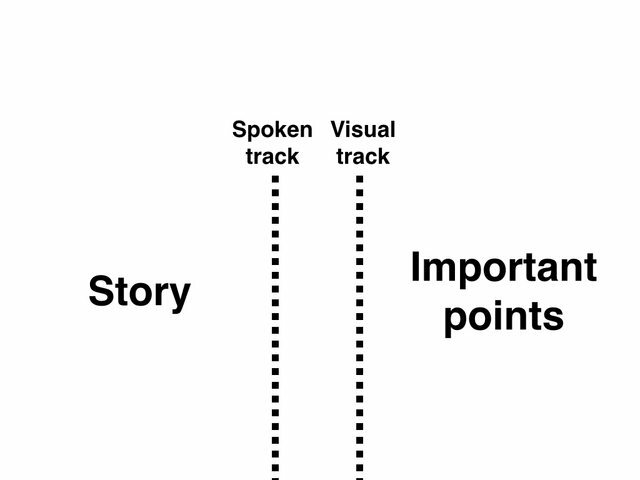 They serve to clarify and illustrate your main points, but they are not the core of the presentation—the story is. 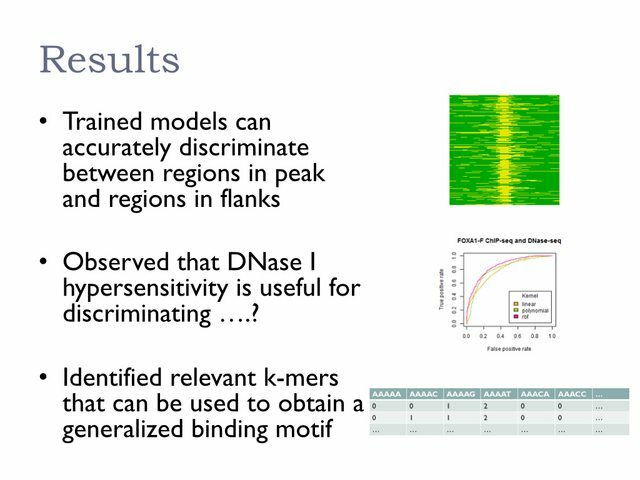 Imagine introducing this slide by saying “As you can see from this plot…”. 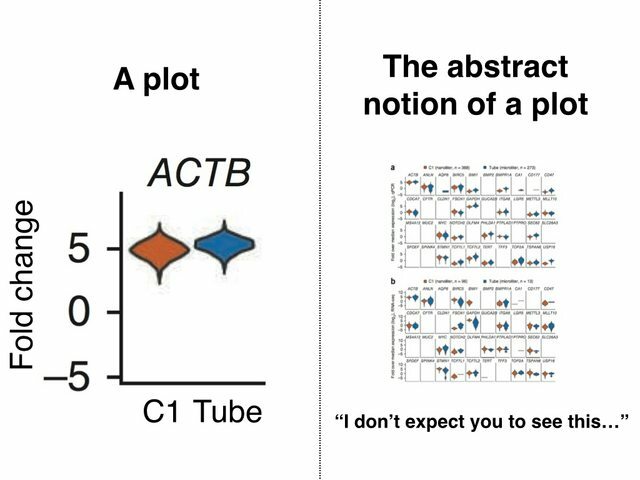 The plot surely contains important information, but it’s impossible to understand at first glance (all the audience will see is a bunch of blobs). The alternative is to break it up, show one piece at a time and explain each one. It’s easier to handle complexity when it comes in small chunks. We never set out to overwhelm the audience with our slides, but sometimes we are too close to the subject matter to see things the way a newcomer would see them. One way to cure this blindness is to develop the habit of noticing things. 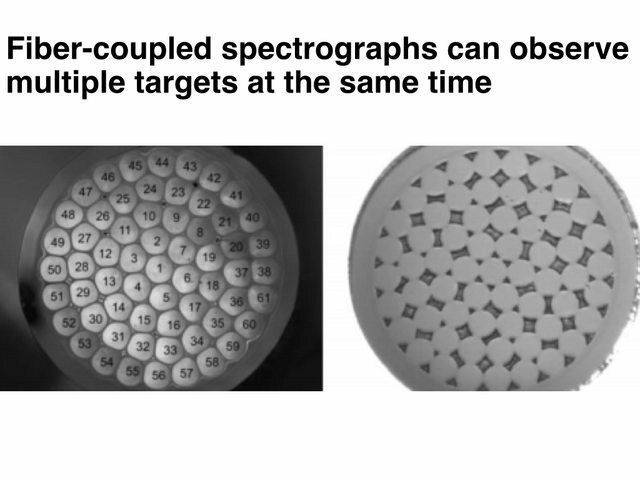 This slide might appear obvious, it’s a bunch of boxes with arrows, but after you look at it for a while, you’ll start noticing additional details: the boxes have text, they are shaded on the right and on the bottom, they are arranged in a snake-like manner. The arrows come in different sizes, they are shaded with gradients. Why are those details there? Once you notice something, you can question its purpose. 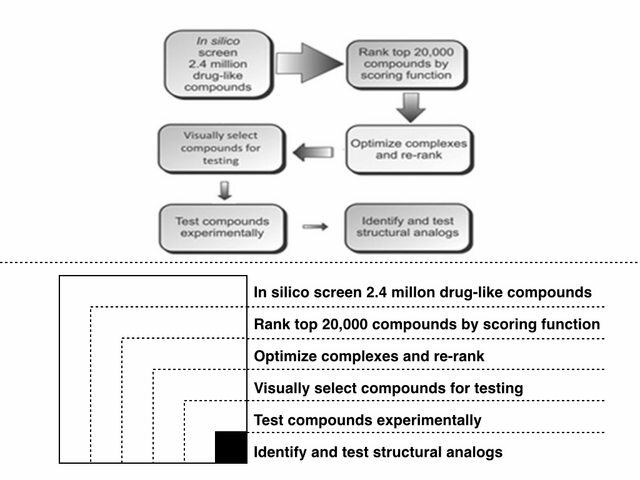 The boxes represent different steps in a pipeline that goes from millions of potential compounds to a few candidates. 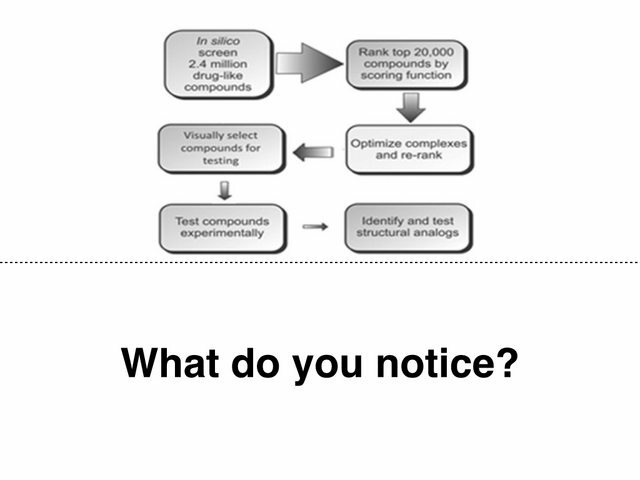 The arrows have different sizes because they represent the decreasing number of compounds that make it past each step in the pipeline. These are legitimate requirements. On the other hand, the snaking around was probably caused by lack of space. The shading and gradients in the boxes and arrows was probably due to default settings in the diagraming software. These are nonessential requirements. Finding a solution that meets the legitimate requirements and avoids the nonessential requires iterating over multiple solutions, assessing their merits and fixing their shortcomings. 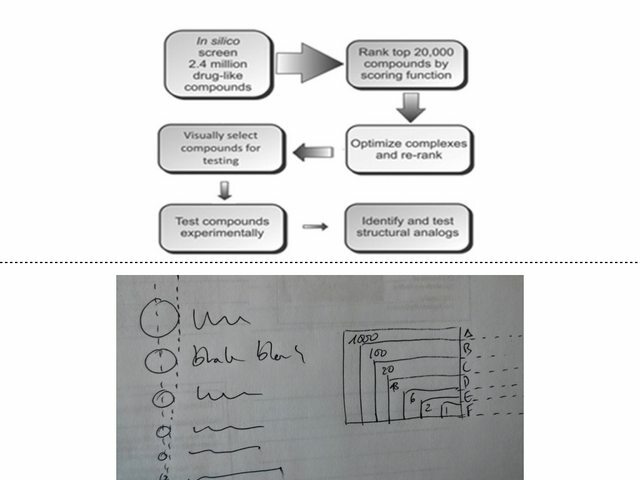 Paper is a great medium to iterate quickly. PowerPoint is not. 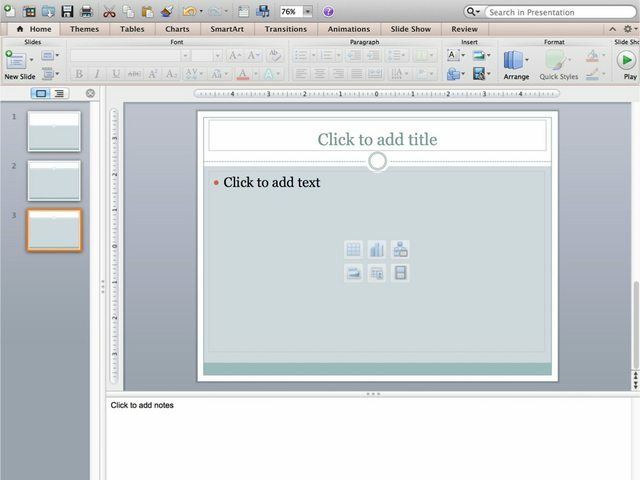 PowerPoint is useful when you have a precise idea of what you want to show. If you start using it before you have had enough time to explore the entire search space, you are leaving a lot of your creative juices on the table. The revised version at the bottom of the slide came after a few rounds of sketching on paper. It’s one of many other alternatives. 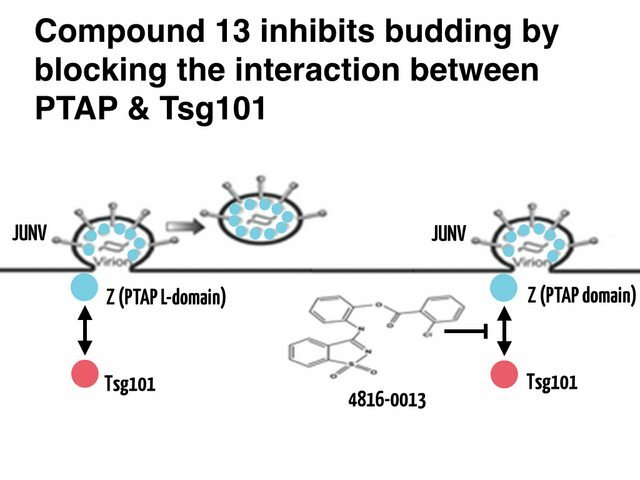 This other example from a paper shows a host protein (Tsg101) interacting with a viral protein (JUNV-Z, at the PTAT L-domain) to enable the virus to bud from the cell membrane. 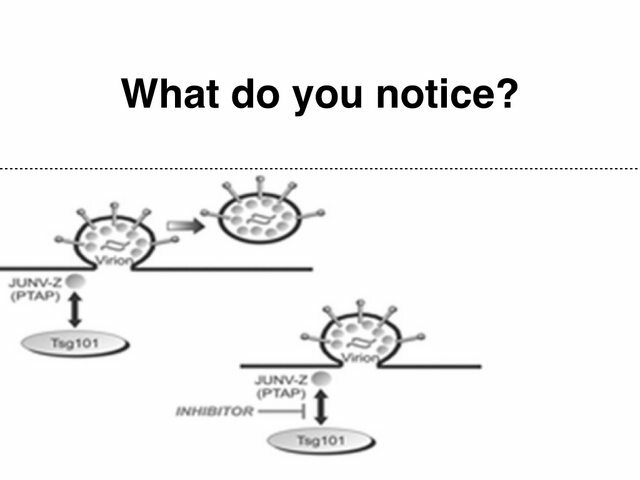 The cartoon at the bottom shows that when this interaction is inhibited, the virus can’t bud and it remains attached to the membrane. What do you notice? I see solid lines, balls, spikes, solid arrows, arrows with gradients, ellipses with shading and wavy lines inside the virion. I didn’t see a reason to have the host protein as an ellipse and the viral proteins as circle, so I tried using different color circles. I also replaced the word INHIBITOR with the molecular structure of the actual compound (called 4816-0013) and added a title. An important part of the Awesome Presentations Workshop was the Secret Santa Slide Makeover. I asked the attendees to send me their slides, and I sent them someone else’s slides in return. They then picked a single slide and improved it. What do you notice? 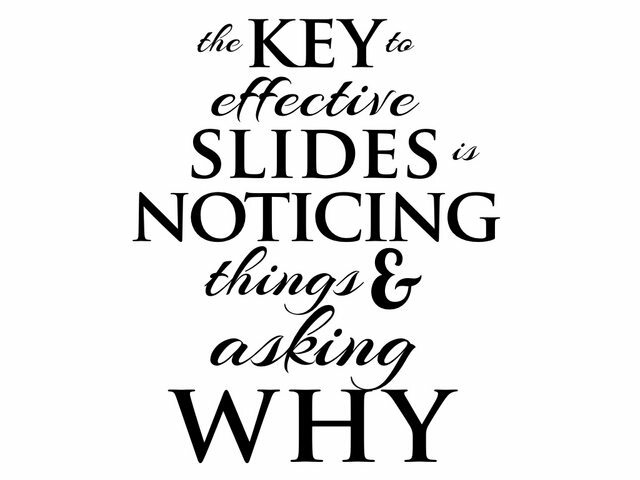 This before slide has a blue wave on top, with matching blue text and a small image surrounded by white space. 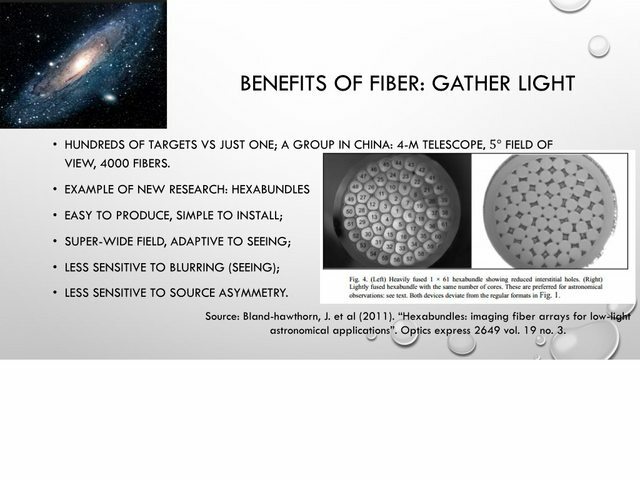 The after slide has the image filling the entire frame, the blue wave has disappeared, and the heading uses a bigger font with clearer wording (no acronyms). A trick to know how big you should make your fonts is to look at the slide in the thumbnail view and see if it’s legible. This is how the guy sitting at the back of the room will see your slide. 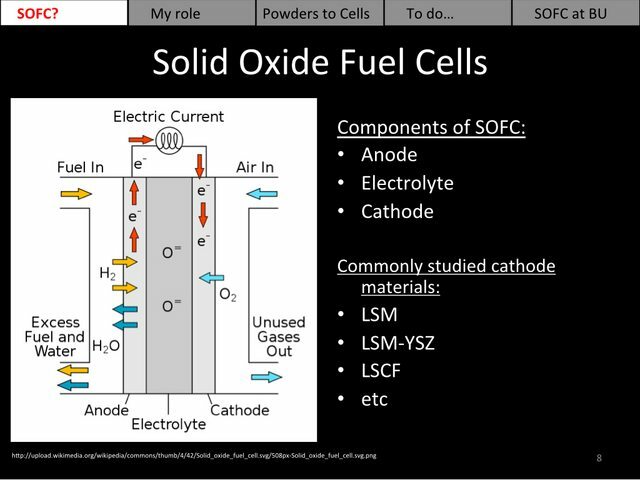 The after slide got rid of the black background and the bullet points (anode, electrolyte, cathode are redundant since they also appear in the image). The image is now centered. 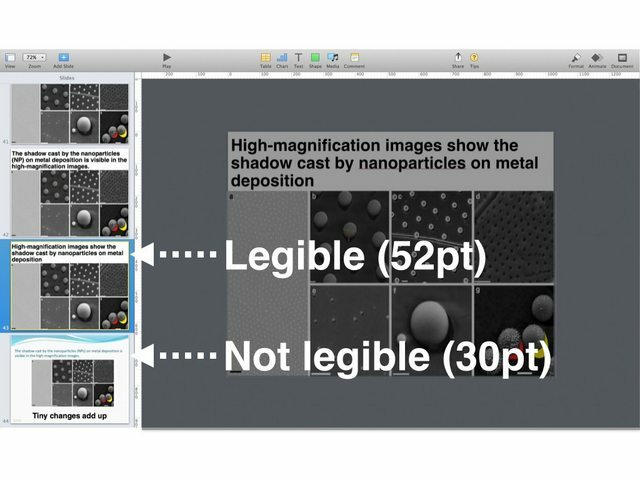 The navigation bar now has small circles to indicate the position of the slide in the context of the presentation. There were mixed opinions during the workshop discussion about this last point. Some people liked the small circles because they gave them a sense of reference in time and space, others (myself included) preferred to omit them because the audience doesn’t need to keep noticing how many slides are left until the end of the presentation. If you decide to use them—and this applies for every design decision—, make sure it’s because you made a conscious choice, not because it came with the default template. 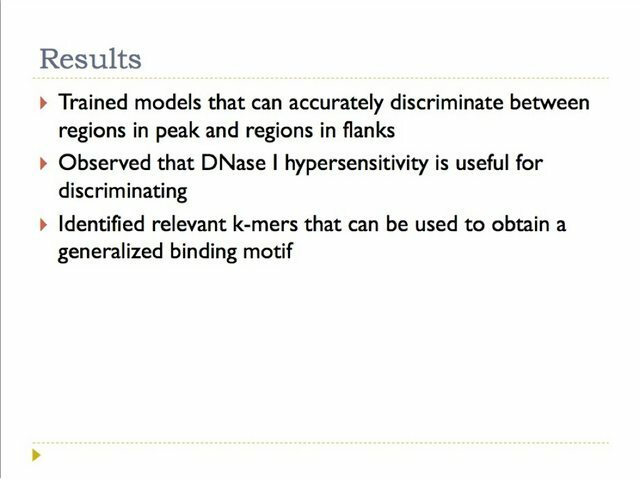 This before slide shows three triangular bullet points. 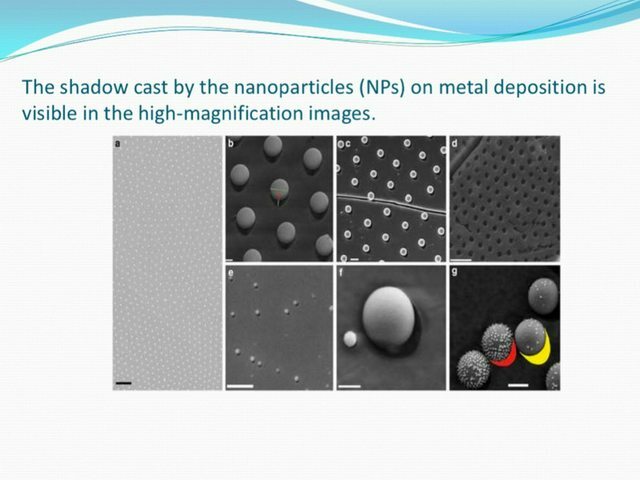 The after slide includes relevant visual components to illustrate each of the bullet points. 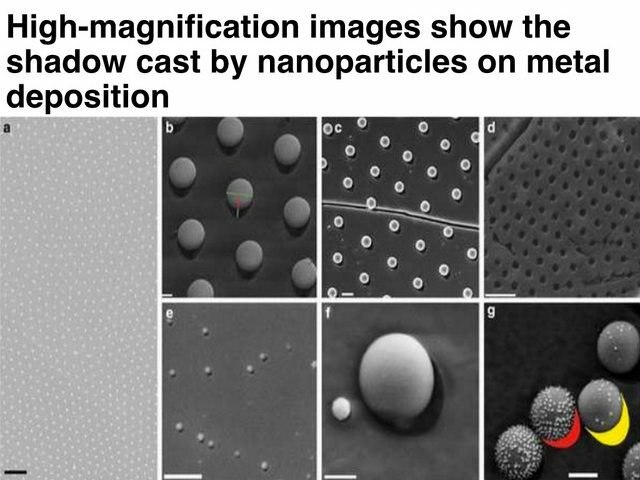 Adding thumbnail figures is a good improvement (especially in the summary slide) because it makes it easier to recall something that was previously covered. 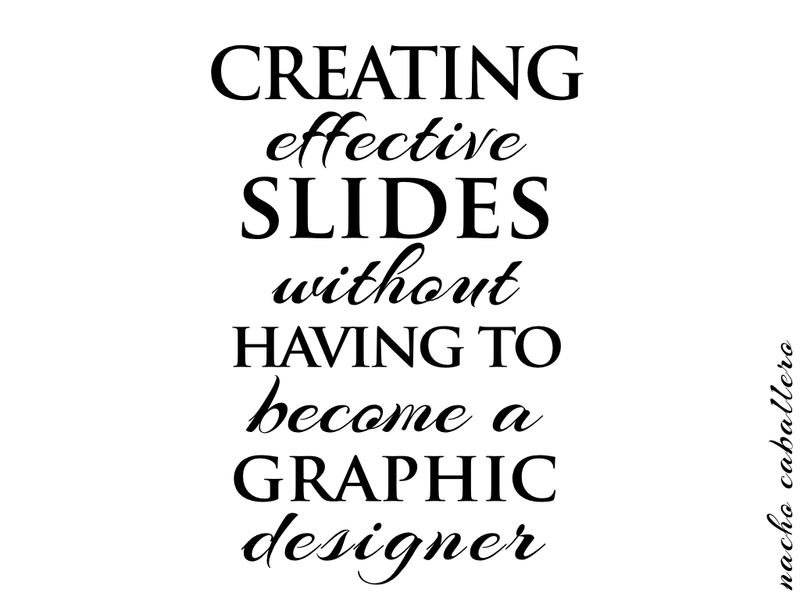 This before slide has a title, a bunch of bullet points in uppercase font, a bubble-themed grey background and two images. The after slide picked one of those points and made it the sole focus of the slide. Once concept is memorable, six concepts are easily forgotten. … but we eventually have to pick one idea and forget about the rest. Every time we pick an idea multiple related ideas crop up, creating many possible paths that we could traverse. 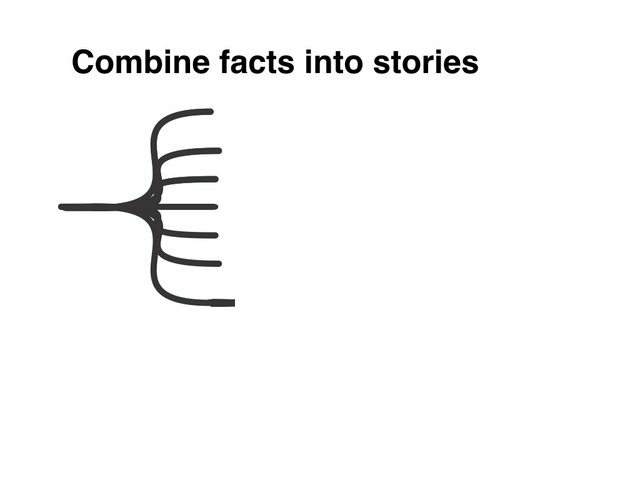 Our role as presenters is to understand the relative importance of all those facts and combine them into a story that the audience can understand. This book by Michael Alley is a great resource to learn how to tell scientific stories. Check your school library, or get it online. 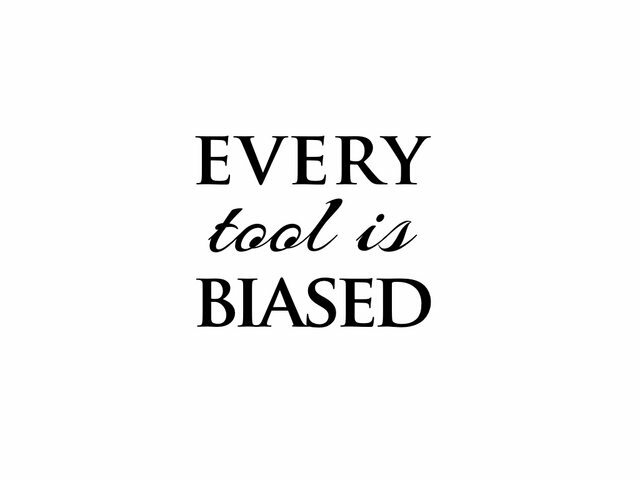 The tools you use influence the way you think. This PowerPoint theme thinks that slides should have titles, that the background should be green and the bullet points red. It lets you write notes in a little space at the bottom with a tiny font. There’s also a few dozen buttons you could click. 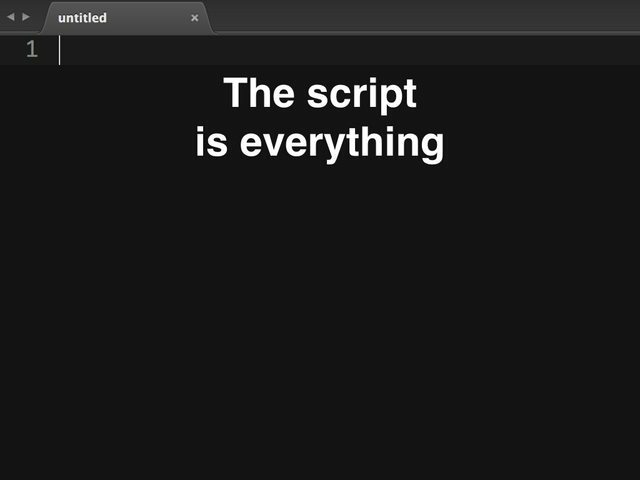 If you instead use a text editor like Sublime Text, the only thing you are encouraged to do is write. You have plenty of room, you can make the font as large as you like and there are no distracting buttons competing for your attention. It’s the perfect medium to write down your thoughts and shape them into a story. When you’re ready to illustrate it, grab a pen and a piece paper and just sketch. Once you know what you want to see on the screen, you’re ready to open up PowerPoint.